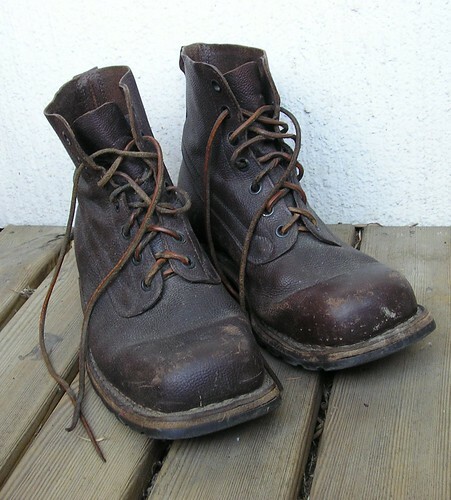 Swedish army boots made by Tretorn. These are NOS from 1968. Over time (and with the use of shoe polish) they turn black. They are made to be used as ski boots as well. Part of the m/59 uniform. I think they were also used by the British SAS during the Falkland war since they worked better in a damp climate than their ordinary boots.